NEW YORK (WABC) -- A vacation nightmare will finally come to an end for one New Jersey family stranded on a Caribbean island. 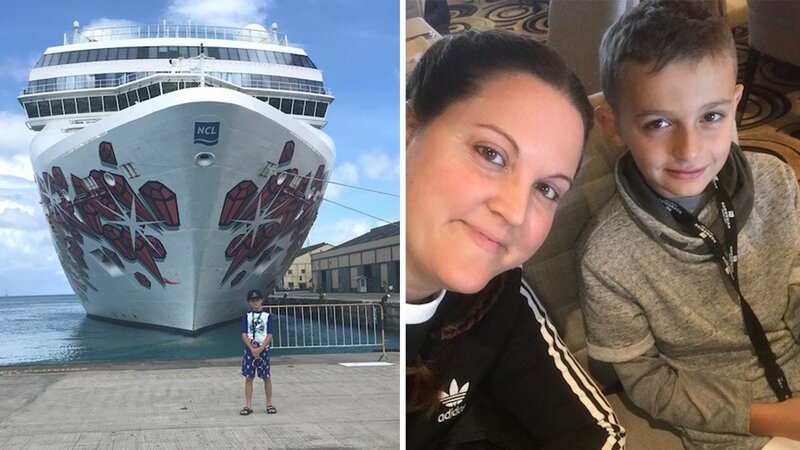 Thirty-five-year-old Kara Kaminski and her 10-year-old son Nicholas Sandwith and friend, are set to return to New York Tuesday morning after an 11-day cruise through the tropics left the family stranded in Barbados. The cruise ship which left on Halloween was supposed to sail back to the pier in New York City on November 11, but the ship's propulsion system broke down. The Norwegian Cruise Line flew many of the passengers back to New York, but the family could not fly due to medical issues. The mother says the extended vacation was not fun and has resulted in Kaminski missing work, and her son missing school. At the time, the family was told the boat should be fixed by November 17 and would be able to take them home by November 21. As a consolation, the family says they were offered a 25 percent off discount on their next Norwegian Cruise.